With the army back to full strength, infused with the new recruits and men fresh after the winter break with their families, orders were given to march south from Gordium across Anatolia. In Ancyra Alexander received submissive envoys from Paphlagonia, removing the need for a time-consuming campaign, and with Cappadocia next to submit Alexander could concentrate on the difficult advance towards the Taurus Mountains in summer 333bce. His major concern was the narrow precipitous pass through the mountain range known as the Cilician Gates which, if properly defended, would be virtually impenetrable. Leaving Parmenio with the heavy infantry in his rear Alexander planned a surprise attack on the Gates' defenders in the dead of night, but with his reputation again carrying all before him the defending garrison simply fled to leave way clear for the Macedonian army to pass right through and down into the rich fertile Cilician plain. Yet non-stop campaigning had left him close to exhaustion and in September he became dangerously ill. After bathing in icy waters of the river Cydnus near Tarsus, he had fallen into convulsions and was gripped by raging fever. His staff feared for his life and in a state of panic none would treat him, fearing a misdiagnosis. 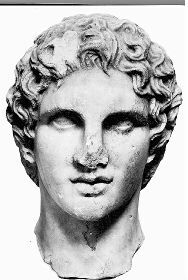 Only his doctor, Philip the Arcanian, described by Arrian as a trusted physician as well as a good soldier, proposed a purgative to which Alexander agreed. As Philip was preparing the draught, vital intelligence came through from Parmenio, warning Alexander to beware of his doctor, who was in the pay of Darius and was about to administer poison. After reading it, Alexander simply passed the note on to Philip and smiled whilst drinking from the cup he had been given. He had complete confidence in his friend and physician, although Philip was understandably shaken at the accusation he stood his ground and advised Alexander to follow his instructions, and if he did he would recover. 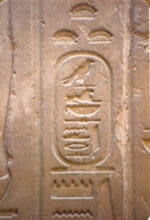 Indeed Alexander did recover over the coming weeks, and his thoughts turned increasingly to the Persian King. Sending Parmenio to secure the Syrian Gates (the Beilan Pass) and the route through the Amanus mountains, he himself would undertake a short campaign to subdue to the Cilicians occupying the foothills. He returned to news that Ptolemy and Asander had triumphed over the Persian commander Orontopates and in celebration Alexander offered sacrifice to Asclepios, god of healing, no doubt in part for his own continued good health. Following games and ceremonial parades, Alexander marched east to Malus in the river Pyramus, where he received a dispatch from Parmenio containing the news he had been waiting for. Darius had marched west and was now only two days away, encamped to the east of the Syrian Gates at Sochi. At last he would meet the Great King in battle. Darius had arrived from Babylon with an army estimated by Ptolemy to number 600,000 men, outnumbering Alexander's army by the considerable margin of ten to one. They had also secured the perfect strategic field position to stage the battle, the sweeping plains of Syria enabling Darius to use his massive numerical advantage to best effect, especially his elite cavalry who outnumbered Alexander's by two to one. In only two days Alexander marched 70 miles to reach Myriandrus on the shores of the Gulf of Issus, but it was too late. Darius had already gone, and unaware that Alexander had been ill, he chose to believe he was simply afraid to face him. Assuming Alexander was still in Cilicia he ordered his army north, and the two armies passed each other on either side of the Amanus Mountains. What could have been a fatal error on Alexander's part proved to be a stroke of good fortune. His reconnaissance troops informed him that the Persian army had outflanked him and cut off his lines of communication, so he sent a galley up the coast to view the Persian army's strength. He then turned his force around and marched to face Darius, and by midnight had reached the Pillars of Jonah, where once secured he allowed his men to eat and rest for the remainder of the night. Around the same time the Persian army had come across the field hospital Alexander had left in the Bay of Issus and after killing the majority of the Macedonian wounded, maimed the remainder by cutting off the hands of the able-bodied to prevent them fighting. When daylight arrived on that November morning, Alexander marched his army out onto the narrow plain between the sea and the mountains, an ideal setting for his battle plan as it would nullify the Persians' numerical advantage. Still unsure of his final tactics, he awaited Darius' final battle formation. It soon became obvious that the main attack would come from the Persian right, made up of 10,000 elite cavalry led by Nabarzanes, located next to the sea. They would try to encircle the Macedonian phalanx and attack their weakest point, so Alexander would have to overcome this by reinforcing his left flank, which must hold at all costs. As the two armies faced each other across the river Payas, alexander sent for his officers. As always he insisted they keep discipline and advance in silence, and then on his order attack with a roar that would frighten the very gods! He reminded his men that the Persians had for centuries led soft, luxurious lives, whereas they themselves were battle-hardened professional soldiers, fighting for the true cause. emphasising that the conduct of each would determine the fate of them all, he told them that whereas the enemy only had Darius, they had Alexander. As the troops faced each other, Alexander rode up and down the lines lifting morale by picking out individuals to praise their feats of bravery. Having assessed the enemy he realised that Darius had placed his untrained infantry under the protection of archers on the right, and this is where the battle would be won as long as Parmenio could hold the Persian cavalry by the sea shore. Leading the Companions astride Bucephalus, Alexander charged into the river and up the opposing bank as the Persian archers fired an ineffective volley. Realising this, they panicked and ran into their own infantry, and in the ensuing chaos the Persian left flank collapsed. Casualties piled up as fierce fighting engulfed both the centre and the right. 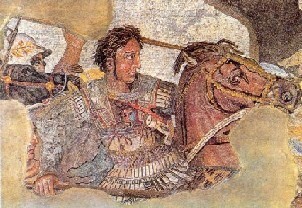 Alexander then made for Darius' position behind the Greek mercenary line, where he stood in his war chariot surrounded by his elite bodyguard "the Immortals". As he approached, Darius lost his nerve and fled the field, leaving his troops in disarray. The battle was won. Alexander had been wounded by a sword thrust, yet he still visited his men on the day after their victory, comparing wounds and stories, before burying the dead with full honours. He also inherited Darius' tent, filled with his abandoned treasures including, most priceless of all, the Great King's family. Determined to treat them with the respect fitting their rank he was keen to assure Darius' distraught mother, Sisygambis that her son was still alive. At their first meeting the queen mistakenly bowed low before Hephaistion as the taller of the two men, greatly distressed at her mistake until Alexander told her, "Don't worry, you were not mistaken, for he is Alexander too".